Future World Rocks! is an eclectic science fiction novel involving Nazi research of UFO’s, time travel, and secret underground beings. What was the inspiration for this fantastical detective fantasy? Actual reports on Die Glocke or the ‘bell’ as are found in UFO and 2nd World War archives. Similar research revealed the Janos race of aliens, and Richard E. Byrd’s USA expeditions to the South Pole. Plus, Google maps of a metal cover to an entrance at one of the magnetic poles, led to reports showing the possible existence of a hollow earth. Time travel comes with a host of problems, how do you handle time travel in your novel to keep it as believable as possible? What host of problems? Professor Hawkins claims you can only travel forward in time, not backwards, or you could end up killing a direct ancestor and therefore no longer existing. I think that is bunkum! If you cease to exist when you already do, I would say that reversal of existence is totally impracticable and unfounded. If you go forward in time, the assumption is that no one yet exists, which negates the findings of those who predict an apocalypse, like the sinking of the Titanic. If you find no future, how can you move into it? If there is a future, what happens if someone else kills the time traveler from the past? Confused? Don’t be. The science behind time travel is explained by research into alien technology and I’m happy that what I’ve read is valid, if you find out where to look. Sorry, but I’m not providing the shortcuts! The story occurs against a backdrop of Rock n’ Roll music, because of course “future World rocks to its core!” What motivated you to include this element in your story and was it difficult to accomplish? Yes, very time consuming. But the clues are given in the song titles and extracts, which invariably can be found quickly by googling them, as provided. The reason I did it was the misused expression, ‘Space Opera’. How can you call something a ‘Space Opera’ that has no music in it? I have a title and storyline already established, which will focus on the plight of existing characters. Ready in about seven months, once my esophagus starts functioning correctly. This story contains interwoven strands that are brought together as events unfold. The first focuses on the aftermath of Nazi research into UFO based systems. Primarily it concerns a flying time travel craft called the ‘Bell’ and its disappearance after those early days when the U.S.A. took over its research. The second occurs in the future, when alien refugees seek asylum with us on our planet. They come from a planet destroyed by one of its own moons and have wandered the stars, looking for a place to stay. Soon they are introducing us to other beings, secretly living under the surface of the planet and mining the moon. Naturally, whodunit problems arise for our crime detection agents to resolve. All this occurs to a backdrop of Rock n’ Roll music, as Future World rocks to its core! Black Dragons Attack, the fourth installment in the Nick Grant Adventures series outdoes the high bar set by the previous adventures. This enthralling pre-World War II story features a superb cameo by American aviation hero Howard Hughes! Readers are transported to the nostalgic war era with the mind-blowing narrative by author Jamie Dodson. Nick Grant starts afresh as a Naval Aviation Cadet that leads to a chance encounter with Howard Hughes that changes the course of his life. Join Nick as he thwarts the Japanese plot to steal the famous Hughes H-1 racer along with his friends Nancy Tanaka and Leilani Porta for some edge of your seat entertainment. Jamie Dodson has always delivered riveting story lines, perfect character development, amazing locales, and ultimately an exceptional climax – in short, each of Nick Grant’s adventures, be it Flying Boats & Spies, China Clipper, or Mission Shanghai or the latest offering Black Dragons Attack never fail to impress readers. 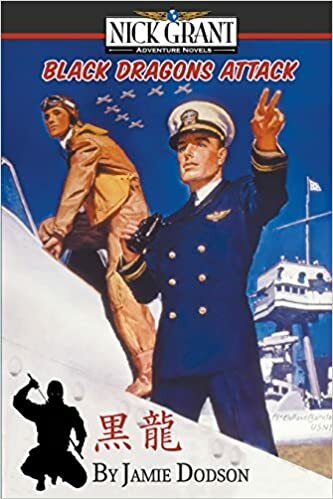 Set in 1936, Black Dragons Attack continues the Nick Grant saga as he believes his arch nemesis Toshio Miyazaki, is dead and starts afresh as a Cadet in the Naval Aviation Academy. It takes no less than a chance run in with the genius billionaire aviator and movie producer, Howard Hughes to lure Nick back into another deadly spy game. The Black Dragons, working for the Japanese Intelligence Service, turn out to be secretly active and conspiring with a new partner, the Third Reich in California! As the Japanese hatch an elaborate plan to steal the Hughes H-1 racer to reverse engineer and build something even more advanced, US Naval Counterintelligence uncovers their activities. Nick is tasked with foiling the plans of the Japanese with the help of Nancy Tanaka and Leilani Porta. As much as Nick impresses with his heroic show of patriotism and daredevilry, the Hughes H-1 steals the show with its sheer technological prowess and revolutionary functionalities that are years ahead of anything that existed in that era, precisely why the fascist regimes of Imperial Japanese and Nazis were so obsessed with it. The setting of pre-world war II provides a poignant background wherein Jamie Dodson successfully manages to capture the mindset of people in a war torn country. Howard Hughes, albeit in a sort of guest appearance, manages to shine and awe the reader with his larger than life personality. The character sketches of Nancy, Leilani and Toshio are spot on and do justice to their role in the plot. Overall, Black Dragons Attack, the fourth book in the Nick Grant adventure series is a pleasure to read. Swallow follows a young German woman during WWII as she struggles to follow her dreams and become a pilot. What was the inspiration that made you want to write such a humanizing story? I was flicking through some old magazines in a medical waiting room a few years ago and came across an article on WW2 ace fighter pilots. It was a fascinating read, so I took to the internet and was blown away by the material on this subject. I found the story of a young German pilot, Hans Phillip, particularly inspiring, though tragic. It was heart-breaking to read about and see the many images of these young men yet to live their lives. Many of the photographs were candid, showing just how very ‘human’ they really were. Gabi is a fierce, bright woman who stampedes her way onto the runway. What guided you through Gabi’s development? I like a strong, female protagonist determined to get her way! Much of Gabi’s development is drawn from personal experience. I was once a young business graduate struggling to get on in what was predominately a man’s domain. I jumped at any opportunity to get ahead, as does Gabi. She’s emotional, stubborn and insecure, facing the same challenges that we all face at some time in our lives: life and death; love and loss; hope and despair. Sadly, the harsh reality of war makes this natural transition through life profoundly tragic for Gabi. This story takes place in Germany during WWII. What research did you do to make sure the history and locations were accurate? Some of the history/locations came from personal sources. My mother was born in Königsberg, East Prussia and fled to Saxony as a war refugee during WW2. Many of her recollections of the war and this part of the world have been incorporated into the story. As a child, I also visited relatives in East Germany several times and can still remember towns such as Meissen and Dresden quite vividly. But my primary source was Google. There is so much material about WW2 and the Luftwaffe on the internet. Admittedly, not all sources are reliable but with some cross-referencing, you get a good feel for what’s legitimate. My biggest issue was deciding what to include and what to leave out as I didn’t want to bog down the story with superfluous detail! I’m currently working on a prequel to Swallow – The Sparrow and The Peacock, covering the early years of Max Richter from his childhood through to his romance with Mary Dehaviland and the birth of Gabi. Like Swallow, it’s set in Germany and covers historically significant periods such as WW1 and the stock market crash of ‘29. I’m aiming to have the book published sometime late 2018 – early 2019. 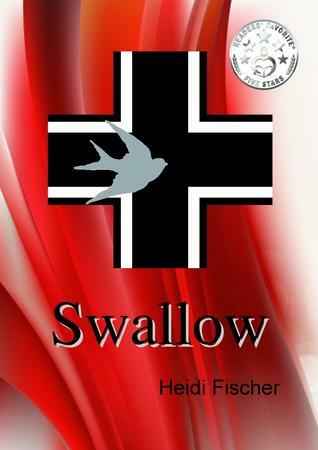 Set against the dramatic backdrop of World War II, Nazi Germany, Swallow is the story of a young woman destined to fly. Gabriele Richter, the daughter of an ambitious German general, connives her way into the Luftwaffe, becoming Germany’s only female fighter pilot and ‘ace’. Flying like a swallow, she defends the Fatherland with the gusto and fearlessness of youth, confronting death on every sortie and living by the Luftwaffe edict “Fly till we die”. But, after discovering her beloved father, General Max Richter, has been implicit in horrific war crimes against humanity, she turns her back on the Fatherland, helping the enemy restore and fly Germany’s latest weapon, the Me-262 fighter jet. With the end of war imminent, Gabi’s tragic destiny is fulfilled, leaving General Richter to face retribution. There are many words that can be used to describe the tale of Swallow by Heidi Fischer. Gripping. Moving. Heart-breaking. This fantastic story about a young woman in World War Two era Germany humanizes those who fought in the war in a way that is unexpected. Our story follows Gabi: a fierce, bright woman who stampedes her way onto the runway where she acts as an engineer and pilot. In a time where woman were beginning to make their mark on the world; a time when relations are strained and many outside the Nazi mantra failed to truly understand what was happening in their country. Gabi finds herself in all of this. The bright young woman who had her life altered so horrifically at the tender age of seven. The young woman who wants to do her father, a general, proud. Gabi shows us a Germany that many of us wouldn’t have believed existed. The desire of a young woman to fly. 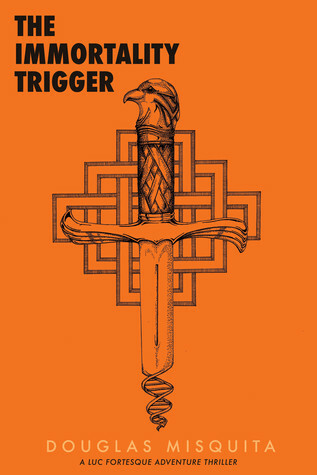 This book starts off with a bang and just doesn’t stop. Fischer hooks her readers from the first chapter and we become entranced by the story. Gabi survives a horrific event that many young women today struggle to overcome. While it haunts her as she ages, she preservers and moves forward with her dreams. Lying her way into the military where she can work as an engineer and eventually a pilot shows how determined she is to reach her goal. You can’t help but root for Gabi and hope that everything she wants will come true. Alas, we must be reminded that it is not all sunshine and rainbows in this world. Especially not during World War Two. Gabi will achieve, and she will lose. She will love and it will be lost. Even as she struggles with despair she never gives up that which keeps her going: hope. Not only do we get to see the world from Gabi’s point of view but we also get a few glimpses into the minds of the men in her life. Most notable is her father. A strong, silent and stoic man who gives away few smiles for his daughter. While he disagrees with her choice, there is no doubt that he is proud of everything that she accomplishes. There are three loves that Gabi will have: Heinz, Hans and Kurt. Each one different from the other and each love comes with its own prescription for pain. Gabi pushes on, becoming a role model for all young German men and women who get wrapped up in the war. While the book doesn’t focus too heavily on the actual war itself, it is difficult to get away from it completely. Gabi is a pilot for Nazi Germany and she does kill those known to her as the ‘enemy’. There is no refuge from guilt, however. It serves as a stark reminder that there were human beings involved in that atrocity. Not all of them agreed with what was happening. Heidi Fischer uses Swallow to tell us a love story wrapped in a piece about humanity. This is an excellent read and picking it up will add emotional depth to any library. The story begins in 2009, where an old woman is being interviewed to tell the story of her history as a fighter in the French resistance to the German army in the 1940’s. In the narrative told by Sarah Ashdown, the character that this history revolves around, readers are bounced seamlessly back and forth between the two eras, and listen as Sarah gives detail about the progression of her life. Simon Gandossi, the author of the story, allows readers peeks at Sarah’s life now as an elderly woman in a nursing home with friends and memories to pass the days with. England marks the setting for the beginning of the story, but most of the events take place in France or other war zones. By following the reflective narrative of Sarah Ashcroft, an elderly woman being interviewed by a TV reporter about her actions in the war against the Nazis, you’ll learn about the horrific events that took place during the bombings and raids of World War II. While the majority of the story focuses on Sarah, as she is the one re-telling it to those interested, you also get peeks into the lives of those of both in her past and present. A friendly nurse Patty makes a frequent appearance, and the disorganized reporter himself Daniel Warwick provides a sturdy companion to her as she gives him the story. 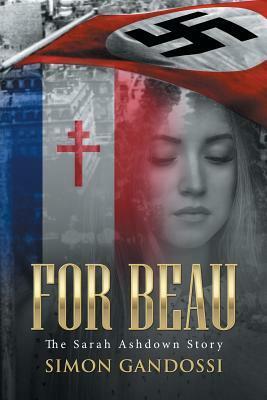 After leaving her English hometown and abandoning her family and friends after the disappearance of her husband and the loss of a dear friend, Sarah makes her way to France to help fight the German’s and do her part to end the war. Sarah is met with many difficulties, since she is a woman, but she is a beautiful character, full of strength and wit, and consistently her own worst critic. Throughout the story, you get to see Sarah’s life in the present setting play out in her nursing home, and the toll of telling the gruesome tale of her war experiences is slowly made evident to the readers. Gandossi takes you on a thrilling, heart-wrenching ride of what life as a soldier in the 1940’s was like, and compels those to feel deeply for Sarah as she agonizes over her decisions. This isn’t a cheerful story; as few stories about war are. In fact, it’s a heavy read, full of history and heroic deeds. I enjoyed it, but I’ve never liked stories that are sad even until the very end. It made me really think about how hard life was for those suffering through the war in the 1940’s, and it gave me unique insight I’ve never read before. The way Gandossi narrates the story through the voice of Sarah is inspiring and gives an intimate touch. 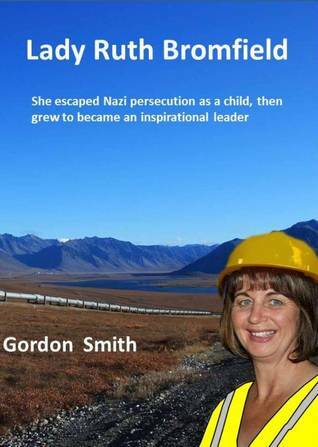 Lady Ruth Bromfield is about a young girl that is rescued from Nazi Germany and grows up to be an engineer on the Snowy Mountain Hydro-Electric Project. What motivated you to write an inspirational story about this woman’s life? I wanted to write a story that included some of my feelings that I encountered while in the civil construction sector. However, when I read a newspaper article about the Kinder Transport, I was inspired to change the direction of the story. I researched the background to the Kinder Transport, and I became even more inspired. I am always disturbed by how we as a human race always seem to be wary of people from different backgrounds and beliefs, so I include the three themes into my book. Ruth was sent to England on the Kinder Transport to be raised by a Church of England priest. What research did you do to get this time in history as accurate as possible? I read widely on the general conditions in England during the war. I had some understanding of Jewish traditions and teachings and along with my Anglican background, I was able to develop the story around Ruth being a Christian- Jew or was it a Jewish –Christian?. I was able to run the Christian aspects by a retired Anglican Priest. When I was halfway through the book, I heard an interview on the radio that mentioned that sometimes Jewish women bathed naked a religious ceremony. I researched this and found several articles about Mikveh. 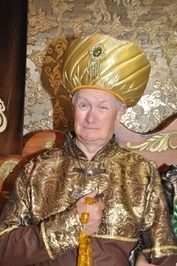 I was able to include this in the story. Lady Ruth Bromfield is a sensational view at overcoming religious and ethnic intolerance. Do you think this is a topic that is more prevalent today than it has been in the past? In some quarters it appears to be more prevalent today (e.g., the western populations being distrusting toward Muslim migrants.) However, in other instances, we have come a long way. As an example when I was growing up Protestant School kids did not mix with those who went to Catholic schools. It also seems that there is nowhere the distrust of “Jews” that was prevalent when I was young. Even then although there was some mistrust, this was tempered with the feeling of disgust in how the Jews were persecuted by the Nazis. What is the next book that you are writing and when will it be published? My next book is in the embryo stage but. I am considering writing a story about three young Australian men who were conscripted to fight in Vietnam in the 60’s. The three of them came from different worlds (a Christian, a Jew, and a Muslim) The story would revolve around their time in Vietnam and how their lives developed after the conflict. At this stage I hope to have it published toward the end of 2017. Saved from Nazi Holocaust, she grew in spirit to be a world leader. In 1935, Ruth was in born to an unmarried Jewish mother in Germany. Fearing the Nazi persecution, Ruth was sent to England on the “kinder transport“ to be raised by a Church of England priest. He raised in the Christian faith, and with help, he also raised her in the Jewish faith. Her faith guided her life and enabled her to build bridges between different groups, even at an early age. Follow her story as she grows up and becomes an engineer on the Snowy Mountain Hydro-Electric Project. Her story is guaranteed to raise your hopes and show how to overcome the differences we all share. A sensational view at overcoming religious and ethnic intolerance. As the Nazis begin to take over Germany, a young, Jewish mother strives to protect her daughter from the persecution that her people face on a daily basis. 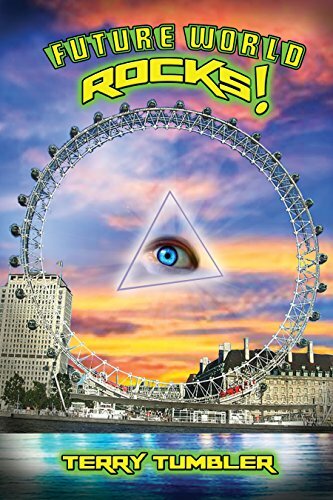 After meeting a secret agent from England, the young mother ships her daughter to the English countryside to live with a minister and his wife with the promise that they will raise her in the Jewish faith. A look into the life of a girl raised to be a Christian Jew, Lady Ruth Broomfield showcases the drive and amazing work ethic that its titular character posses which helped her become a powerful player in a world that once persecuted her people. Gordon Smith’s Lady Ruth Bromfield proves to be an interesting read in the sense that it reads like fiction, but also reads like a true story. While the story keeps the reader on the edge of their seat near the beginning of the novel, there are obvious dips in the interest levels and movement of the story. The book is very well written in the sense that the author definitely knows how to pace the story when it comes to facts. However, one of the major issues with the storytelling comes through the depiction of Ruth. While it is understood that Ruth is the story’s hero, she is far too perfect in her depiction. Overly smart, ambitious, and predominantly successful from an early age, the writing of ten-year-old Ruth makes her appear to be unusually self-aware. Certainly, the children of World War II grew up faster than most, but her mentality seems to be a mix of a spoiled five year old and a wise twenty year old. Similarly, her depiction as a three-year-old is unrealistic. Had some of the conversations happened when the child was five instead of three, it would’ve been more believable than the conversation presented. However, when the reader keeps in mind that the main character is a little bit above and beyond the normal person as the story continues, it makes the unnatural maturity seem more plausible, if only by a little bit. 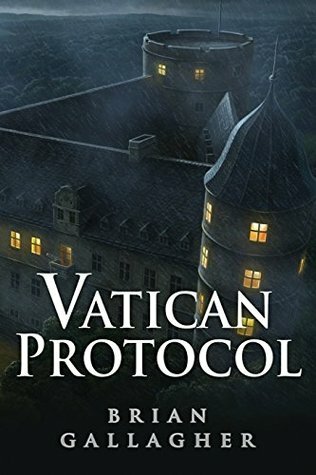 While the writing is mostly well done, the repetitive descriptions and retelling of information slows the flow of the book greatly and dampers the overall mood when reading the story. It’s really the ending of the story that makes up for the roller-coaster of writing and descriptions throughout the book. The promise of hope and the example of overcoming as a woman in a predominately male field is quite the impressive story. Similarly, overcoming her initial adversity at the beginning of the story as a Jewish orphan to becoming a massive player in the world of construction does offer hope to anyone who believes that their small beginnings do not allow them to go on and achieve greater things. Overall, this story provides hope. Jason Hensley has taken a very difficult subject, filled with darkness and sorrow and brought forth a glimmer of light. There have been many history books written on the Holocaust from many perspectives, but Hensley has taken a fresh approach to the subject. Anyone studying this period of history knows the horrors that awaited the Jews under Hitler but few history books talk about the children that do survive. Even fewer talk about the people that made it so children of Jewish families could have a chance at life. Hensley’s focus in Part of the Family is on the children that were taken in by the Christadelphians families and their stories. 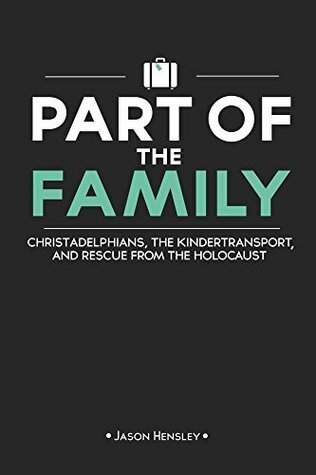 Part of the Family is not your traditional history book filled with facts, rather it gives you a brief overview of who the Christadelphians are, and than a collection of mini biographies of some of the children. This is also the first book in a collection that Hensley is working on to fill the gap in this area of history. Part of the Family gives a brief overview of who the Christadelphians are, and what they believe. It does not go deeply in-depth to make this a history of religion, rather just enough to give the reader an overview of the mindset of the families that foster these Jewish children. It documents the lives of nine children and their experiences with the Kindertransport. The families are not just from Germany, included are also families from Czechoslovakia, Austria, and Poland. The general format of the biographies are: brief overview of the climate that the children were born into for their time/location, the decline of their families situation, the Kindertransport, meeting their new families and their life with them, than after the fact. Hensley tries to give as much information on what happened to the families of these children, in some cases the children are reunited years later, however in most cases, the families do perish at the hands of the Nazis. In describing the Christadelphians Hensley makes sure to emphasizes that despite their devote and very structured Christian beliefs, none of the families ever forced or pressured the children to convert. They lived with the families as if they were their own children, participating in all the activities, including daily bible readings and attending meetings with the family. However, none were forced to be baptized into the Christadelphians faith. While some did ultimately choose that path, it was of their own choosing when they were near adulthood. For the families that took in the Jewish children, this quote seams to sum up the way they treated the foster children, “Perhaps, then, one of the most important questions to ask ourselves is how our own beliefs affect our actions – and whether these beliefs are truly influencing our actions for good” (Hensley, 2016, p.182). This mentality of showing the children kindness and good in the world despite all the misery they had faced, influenced them all in positive ways. The children in this collection all went on to have fulfilling lives of their own and often kept in touch with their foster families. This book gives a compassionate overview into this period of history. It shows that there are good people out there that do things simply because it’s the right thing to do. These are not children that went on to be famous or necessarily do great things, they are every day kids that suffered deeply and came out on the other side to make a life for themselves. Overall a great supplement to the standard history texts on the Holocaust and the start of a great project by Hensley to bring these stories to light.